The Church Centre is a large room at the front of St. James Church building. It can be accessed from the corner of Welham Road and Mitcham Lane. It is a T-shaped space with a carpetted floor and a warm and welcoming atmosphere. At the top of the Church Centre, concertina doors can be pulled across on the right and the left creating two additional small rooms if required. 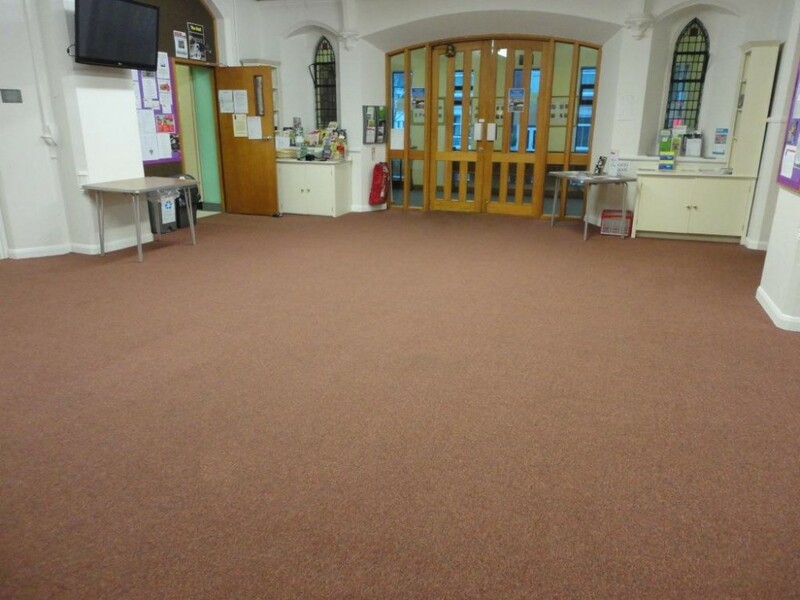 The Centre is available for hire for meetings, children's parties and small group events of up to 50 people. Tables and chairs are available for use. There is access to a well-equipped kitchen with an oven, microwave, food warmer, water heater and dishwasher. Usual rates are £30.00 per hour for a minimum of three hours, with a refundable damage deposit of £100.00. Bookings must include adequate clearing up time please. Please click HERE to download a booking form. Please click HERE to read our terms and conditions.